Keith Williams’ work entitled STAATSTHEATER EXPANSION, KARLSRUHE has been chosen by curators Ian Ritchie RA and Louisa Hutton RA to be exhibited within the Architecture Room, Gallery VI in this year’s Royal Academy Summer Exhibition at the Royal Academy in Burlington House on London’s Piccadilly. The 1975 Staatstheater by the architect Helmut Bätzner, is one of the largest multi-section theatres in the world. Operating as a Dreisparten house, it stages the three performance genres of music theatre, ballet and theatre. Its central position in Karlsruhe directly at the intersection of the city’s two main arteries Kriegsstraße and Ettlinger straße, alongside its singular appearance further underlined the importance of this cultural building. 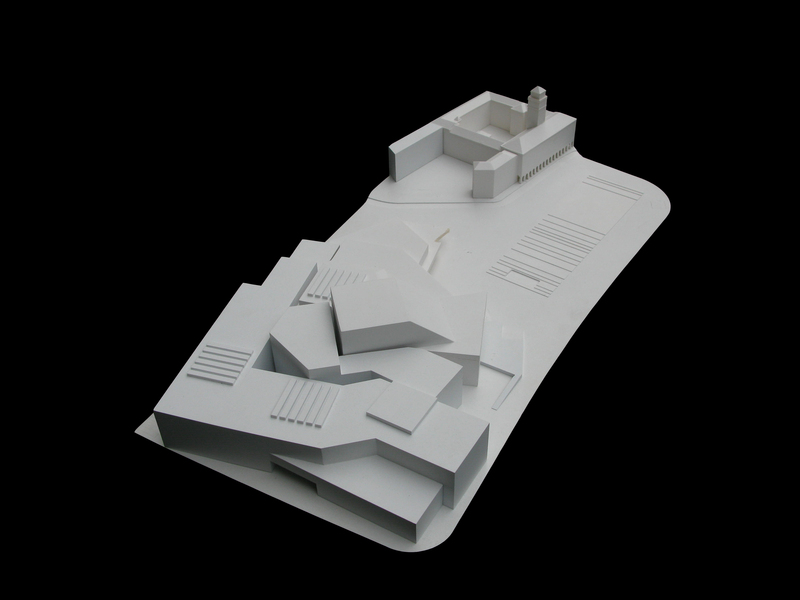 Keith Williams’ masterplan for its expansion is summaries and encapsulated in the abstracted form of the model on display. Keith Williams is a regular exhibitor at the prestigious annual exhibition and this year’s work is a physical model in acrylic of the firm’s project for the major expansion of Kaarlsruhe’s iconic 1970s Staatstheater in art Germany. The year’s exhibition was coordinated by Richard Wilson RA. The Summer Exhibition provides emerging and established artists and architects with a unique platform to showcase their work. Famous as the world’s largest open submission show, there are certain things the Summer Exhibition delivers on every single year: a panorama of art in all mediums, and a remarkable mixture of emerging artists and household names. This year’s show includes over 1,200 works showcasing everything from watercolour paintings to videos and photography models drawings and sculpture. The Summer Exhibition runs from 13 June – 21 August.